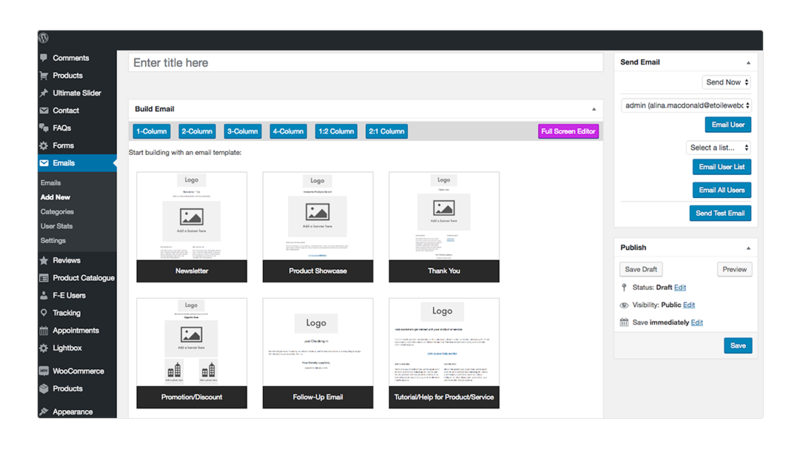 Many of our plugins feature integration with the Ultimate WP Mail plugin in their free versions. These integrations include customized messages like thank you emails, confirmation emails and sign up emails. 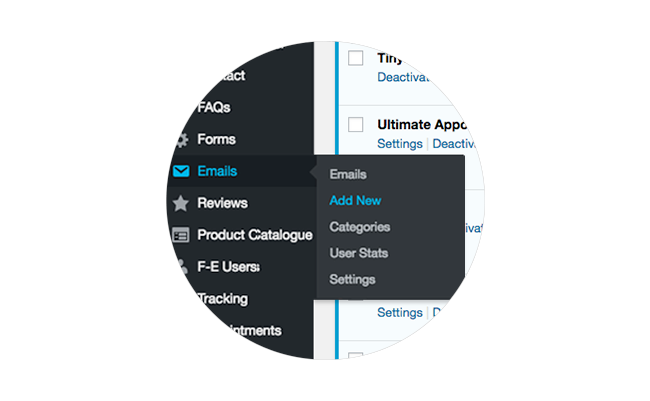 Using Ultimate WP Mail’s built-in visual builder, you can completely customize the email’s layout and content. Next, follow these simple instructions and you’ll have your custom emails set up in no time. 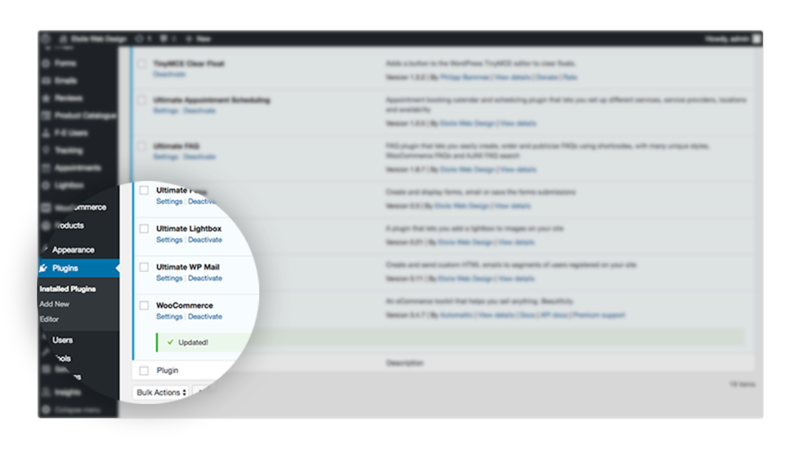 Step 1: To get started, make sure that you have Ultimate WP Mail installed and activated in your WordPress dashboard. Step 2: Next, click on the “Emails” link in the sidebar, and click the “Add New” button at the top of the emails screen. Step 3: From there, you can select one of the pre-built templates or you can start building your own email from scratch. It’s often easier to build an email using the full-screen editor, which can be toggled on by clicking the “Full-Screen” button. Note: To create a more in-depth customized email, check out the “Email Variables” drop-down available at the top of the editor area. Depending on the plugins you have installed, there might just be two options in the drop-down or there could be many. Adding these email variables to a message let’s you add personalized elements to each email such as the recipient’s name, organization, etc., similar to doing a mail-merge in Excel. In some cases, there are even advanced elements that can be inserted such as links to confirm an appointment or to review individual products that a visitor has previously purchased. 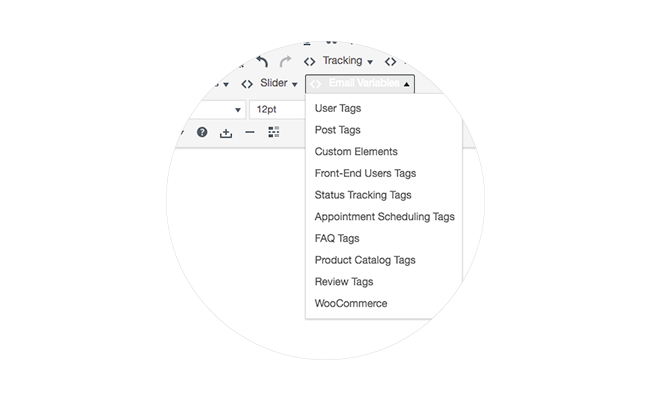 If there are any email tags that you feel are missing from a particular plugin, feel free to let us know! Etoile Web Design creates customizable WordPress plugins and themes that enhance your site’s functionality and design.